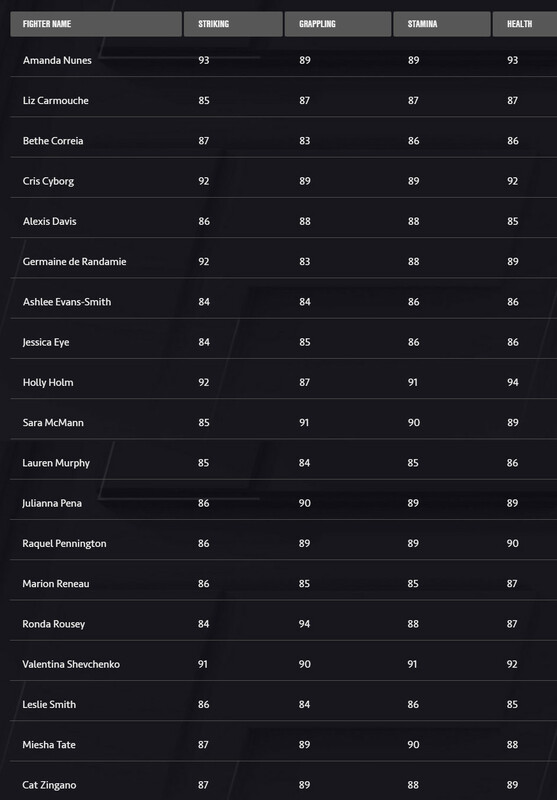 With just two days until EA Sports UFC 3 goes out through EA Access on Xbox One the publisher has completed the reveal of the full fighter roster and their respective ratings. First up were the flyweights and bantamweights and then the featherweights, lightweights, welterweights and middleweights. Now on to the light heavyweights, heavyweights, and women’s strawweight and bantamweight classes. 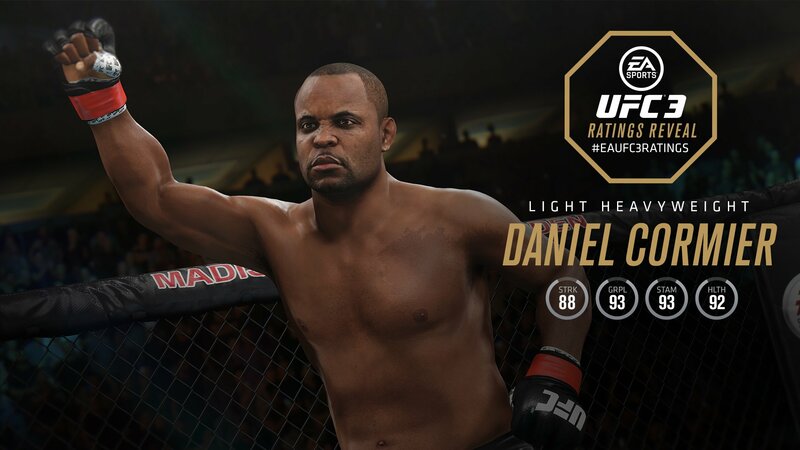 UFC 3 is changing up the ratings with four overarching categories: Striking, Grappling, Stamina and Health. Previously fighters were ranked on Ground, Stand-up, and Clinch. As was the case with the first two games the ratings are exceedingly top heavy. 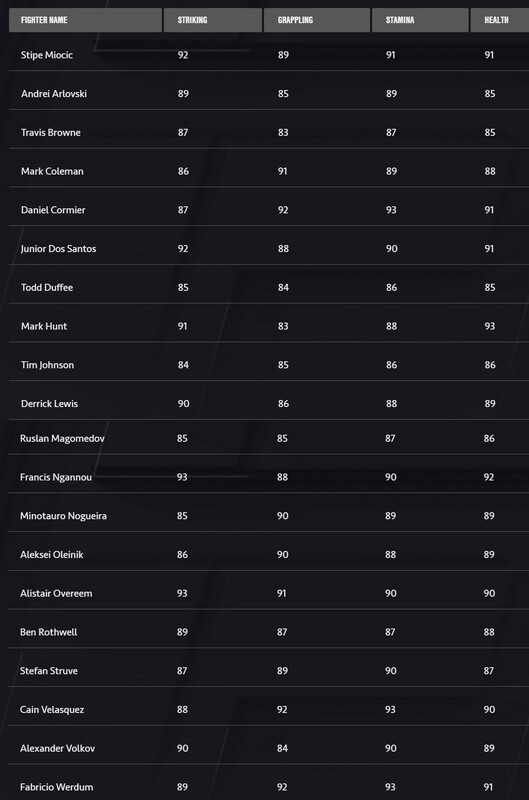 Presumably separation comes from sub-attributes as the lowest number given to a fighter in any category is 82. 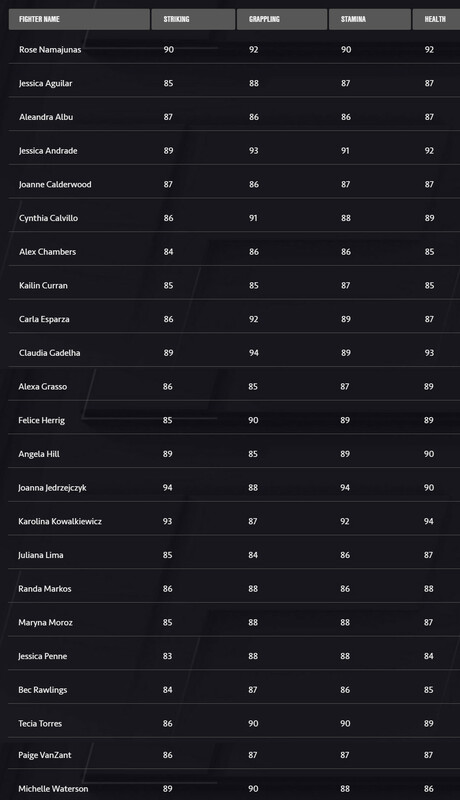 Overall Striking rating is determined by a fighter’s strike speed, power, accuracy, footwork, head movement, blocking and switch stance which controls striking power differential in your opposite stance. Overall Grappling rating is determined by a fighter’s top game, bottom game, submission offense, submission defense, clinch throws, clinch grapple, takedown ability and takedown defense. Overall Stamina rating is determined by a fighter’s strike stamina, grapple stamina and endurance. Overall Health rating is determined by a fighter’s chin strength, body strength, leg strength, toughness and heart.